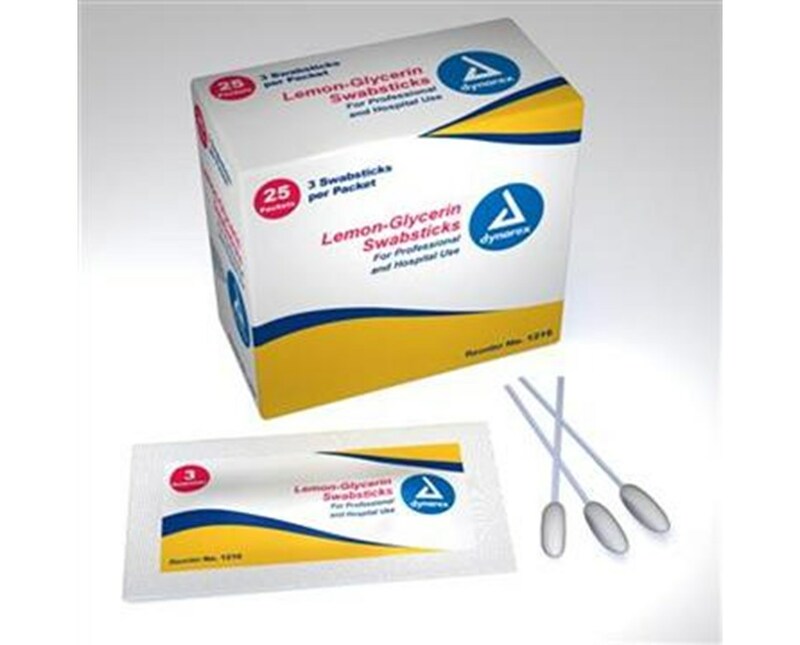 Pleasant tasting lemon glycerin oral swabsticks are excellent for soothing, refreshing oral patient care.The perfect comforting touch for a patient's dry mouth. Let your patient or loved one know you care. A gentle wooden oral swab for the patient with restricted oral intake. Frequently used for cancer patients as well. Perfect for home care, hospital, and nursing home use. Individually packaged for ease of use and disposable convenience without the waste. More cost efficient when one swab will get the job done. 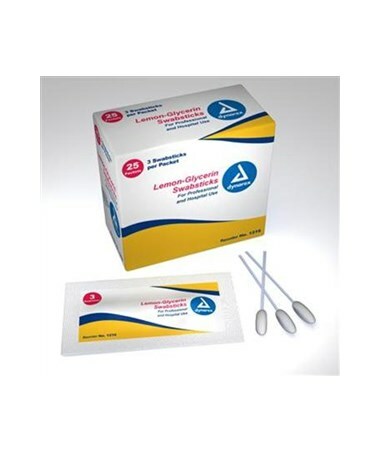 This handy 3-pack will save money in the long run when more than one swab is needed.